In any growing business having covered space can be an issue. In the past when companies needed more temporary storage space they would build or rent a permanent structure. These could be on existing land or at another site. This was time consuming and extremely costly. At Reece's we understand your frustration. We've helped all size businesses and government sectors with creating temporary warehouse storage at a fraction of the cost. With a vast amount of different heights, widths and lengths available we have any answer for your dilemma. We make the process easy as we collaborate to discuss your company’s needs and your temporary storage warehouse can be delivered and built within days as compared to months or years for a permanent building. As no special foundation is required we can place your structure on almost any sort of solid ground whether it be grass, dirt, concrete and more. 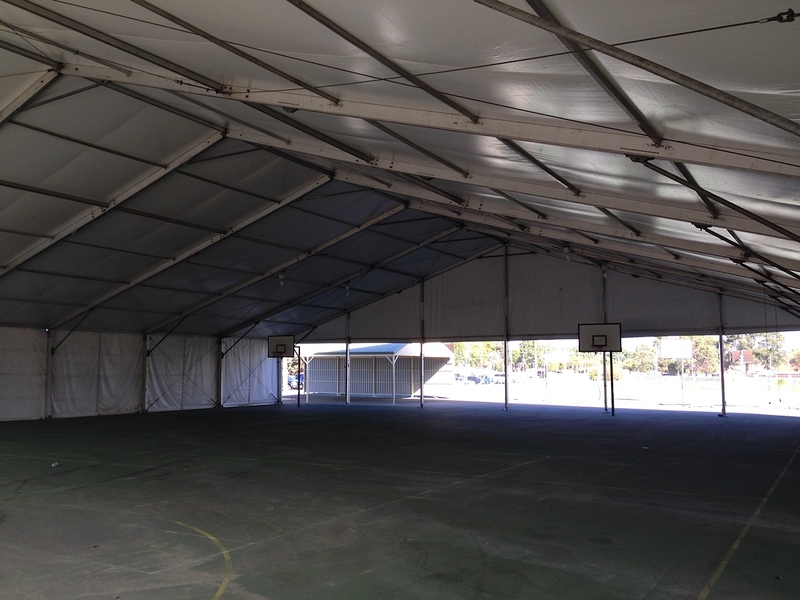 Our warehouse structures can be hired short term to long term depending on what you require. 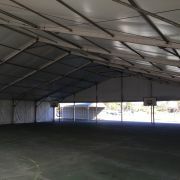 Security, insulation and ease of use are not a problem with our temporary warehouse structures. 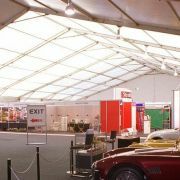 Our temporary structures are also easily expandable should you require more space. Feel free to call us on 9378 4711 for more information as we’ve created many structures for commercial, industrial and heavy duty applications. Also often used for extra expo space at large conferences and ocassional for that extra large party you have planned.